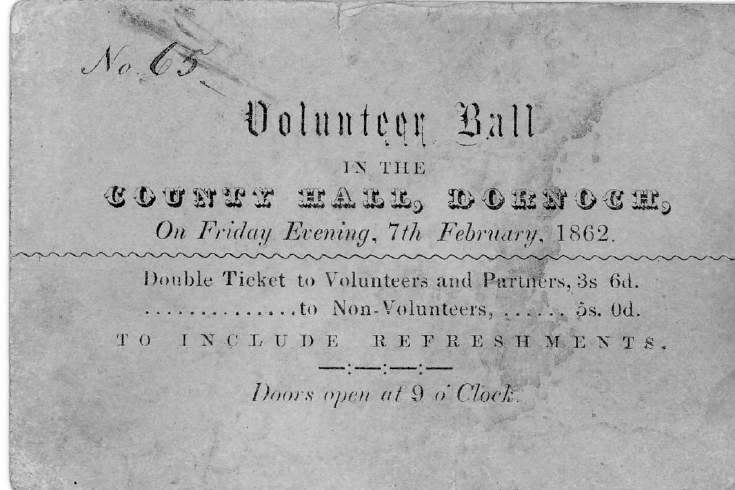 Ticket for Volunteer Ball, County Hall, Dornoch, February 7th 1862. Written on back: "Found at back of skirting Sheriff Court House Dornoch June 1939. W Grant ("Puff")". The Volunteer Ball was a long-running Dornoch event, with a Northern Times extract reporting the Ball taking place 80 years later in 1942 (picture #13533.